Now, the same science and technology that Fortune 500 companies use to identify top talent is available to small or mid-size businesses. Logi-Serve worked with a North American network of automotive dealerships to improve its hiring processes for three critical roles: Finance & Insurance Manager, Sales Consultant and Service Advisor. The Logi-Serve Assessment successfully differentiated the best performers from the also-rans. MSXI offers a best-in-class People@Retail training program specialized for automotive retail dealerships designed to improve employee performance in key service and sales roles. 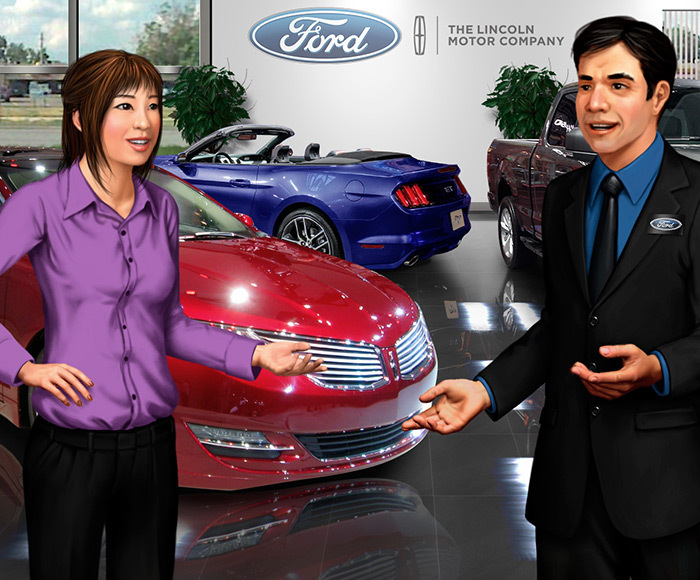 Logi-Serve worked closely with MSXI and the OEM's U.S dealership groups to identify people that possess high service aptitude and the ability to provide excellent customer experiences. Identify the best retail employees in an industry where competitors are increasingly differentiated by their ability to deliver superior customer experiences. Logi-Serve implemented our Service and Sales Assessment for three separate positions—Sales Consultant, Service Advisor, and F&I Manager—along with unique, customized position benchmarks for each. The benchmarks were created using the competency profiles of the client’s top-performing incumbent employees in each of the three respective roles. The Logi-Serve Assessment successfully differentiated the best performers from the also-rans. Those scoring higher on the Logi-Serve assessment were twice as likely to receive positive customer feedback on their performance, and were two-thirds less likely to be the subject of customer complaints. Jeff Christofis Vice President, Kelly Services Logi-Serve has embraced the latest concepts in behavioral screening and their methodology is cutting edge. JoAnne Kruse Chief Human Resources Officer, American Express Global Business Travel Logi-Serve has taken assessment science to a new level of insight. Pablo Vaquero Quality Manager Ford Iberia There’s simply no replacement for positive, engaged service employees. The trick is finding employees that can perform quality customer minded service.